Family Hogmanay returns to The Brunton on Monday 31 December with a packed programme of performances, workshops and events. The Brunton has a well established track record in delivering Hogmanay celebrations in Musselburgh. The daylong event includes performances, workshops and events booked for in advance: two day time ceilidhs, lantern making, drumming workshops, storytelling and puppetry with It’s In The Bag and Clydebuilt Puppets. Additional art and craft activities, face painting and balloon modelling can be paid for on the day. The day culminates in a stunning lantern parade and firework display lighting up the sky along the Musselburgh coastline. Then for those wishing to see in 2019, The Brunton hosts Hogmania! a family friendly party with live band, piper, snacks and more. 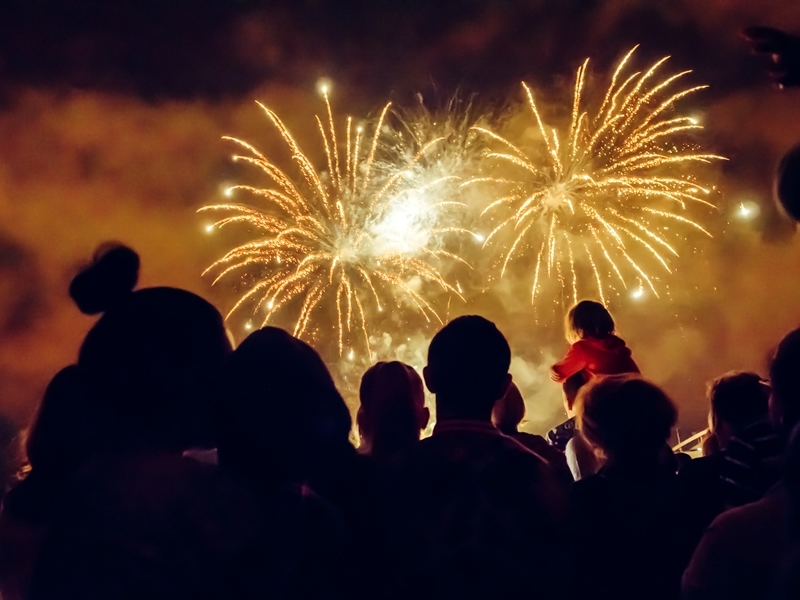 Ticketed activities and events run from 11am – 6.30pm with an early evening Lantern Parade and spectacular FREE Fireworks Display at Fisherrow Links. Family Ceilidhs: Two celilidhs with pipers, ceilidh band and Scottish Country dancers. Illuminated Lantern Making: These are kept at The Brunton to collect for carrying in the evening parade. Edinburgh Samba School: Drumming workshops for ages 7 plus. Sam & Rosie’s Tartan Tea Party: Storytelling and puppets from It’s In The Bag, for 0 – 2 year olds. Sam & Rosie’s Highland Adventure: Storytelling and puppets from It’s In The Bag, for 3 – 6 year olds. The Lighthouse Keeper and The Seal: A Scottish tale made with rod puppets and beachcombing creations from Clydebuilt Puppets. Jack and the Beanstalk: The Brunton’s own traditional family pantomime. Hogmania! : See in the New Year at this family friendly party with live band, food, pipers and more. The FREE evening event starts at 6.30pm as people gather at The Brunton for the Lantern Parade which sets off at 7pm led by the Edinburgh Samba Band, Apus walkabout illuminated birds and Jacks of Frost. This leads to Fisherrow Links for a spectacular Scottish fireworks display from 7.30pm to 8pm. Hogmanay Celebrations in the Honest Toun are delivered by East Lothian Council and The Brunton and has received support as part of the Scotland’s Winter Festivals, a programme of events managed by EventScotland, part of VisitScotland, on behalf of the Scottish Government. While we take every opportunity to ensure the details for Family Hogmanay in the Honest Toun 2018 are accurate, we always advise that you contact the event organiser before setting out for the event to avoid disapointment.